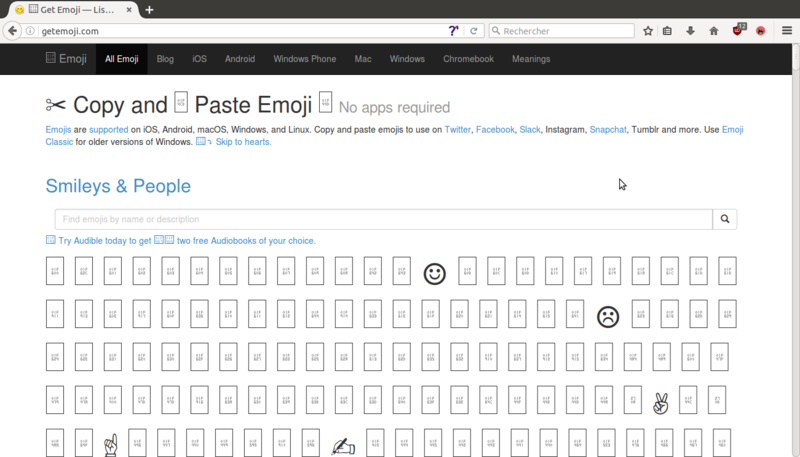 Firefox has shipped with an emoji font since version 50.0, but Ubuntu doesn't include it in their Firefox packages. 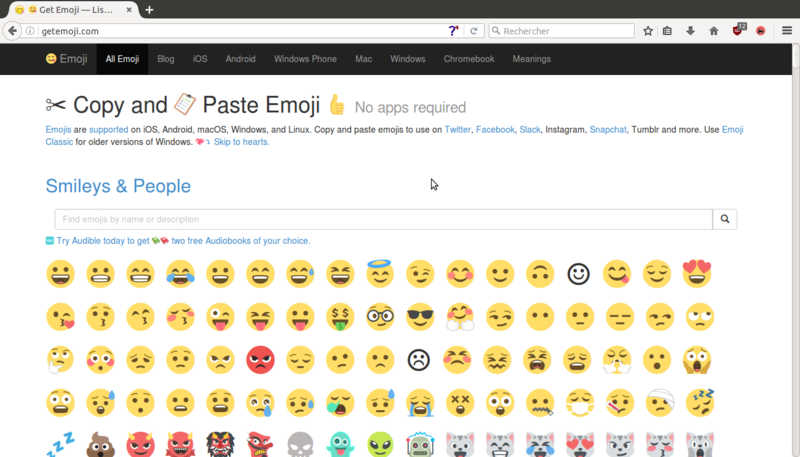 Therefore, when opening a page in Firefox containing emoji characters, the black and white glyphs from DejaVu are displayed instead of the glyphs from the EmojiOneMozilla font. According to http://packages.ubuntu.com/xenial-updates/amd64/firefox/filelist, EmojiOneMozilla.ttf is not included in the Firefox package in Ubuntu's repositories. AlsaVersion: Advanced Linux Sound Architecture Driver Version k3.13.0-101-generic. Screenshot of http://getemoji.com/ without the font. I'm marking as Fix Committed since this is now fixed in the Firefox 58 Beta packaging in the Firefox Next PPA. Firefox 58 is scheduled for release in late January. This is fixed in Thunderbird 60 which will be released to Ubuntu soon. Thunderbird 60 is now available in all supported Ubuntu releases with this fix.